The Diamond Investment & Intelligence Centre (DICE) has been created with a clear purpose in mind: To offer independent and non-biased education and intelligence about diamond investments. Our award-winning research and thought leadership is often quoted and presented by global media outlets, such as IDEX, Gemology InColor Magazine, Globe Investor, Diamond Investing News, Kitco, American Hard Assets, 4-traders, The Israeli Diamond Inductry, and many others. Our research will contain all the aspects that make-up a complete knowledge of the subject, such as historical facts about the last untapped natural resource as an investment vehicle, thorough industry analysis, commodity performance against other investment vehicles, and the full scope of future potential. DICE is headed by Yaniv Marcus, who began his career in the investment community as a Certified Financial Planner (CFP) as well as a Portfolio Investment Manager(CIM). Yaniv was also certified as a Derivative Trading Supervisor (Options & Futures). Yaniv explored other global investment & trading avenues and opportunities, before landing on his real passion: diamonds and precious gems. Yaniv joined the Gemological Institute of America(GIA), becoming a Graduate Diamonds (GD) certificate holder and a Graduate Colored Stones (GCS) certificate holder. 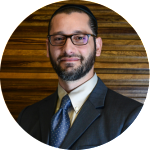 Now being able to expertly recognize Diamond quality as well as Precious Gems such as Sapphire, Ruby and Emerald, among others, Yaniv decided to merge this new found passion and skillset with that of his investment background. The result is expert knowledge of diamonds and precious gems from the prespective of finances and investment. Talk about a perfect match. DICE was born out of a need to inform and assist investors, who up till now have been gambling with their diamonds, due to a lack of verifiable information on the market. We offer the clarity and vision so that you can get the most out of your diamond investments.